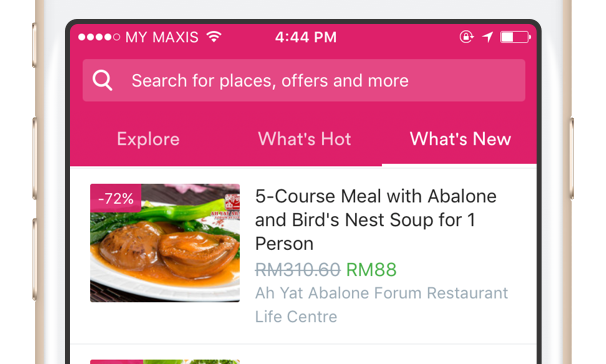 Groupon Malaysia, a popular go-to site for deals and discounts, will be consolidated under a single brand and operate as Fave, a food and beverage app, moving forward. With this integration, Fave will inherit Groupon’s base of customers, enabling the brand to serve over three million subscribers combined. The strategic move will also see the use of a new service model in response to the changing customers’ lifestyle and needs. “It is more than just putting a new name to Groupon. Fave is a homegrown brand developed and headquartered in Kuala Lumpur, and it is now used by millions of users and thousands of businesses across Southeast Asia including Jakarta and Singapore,” Joel Neoh, founder of Fave said. He explained that Fave will be the engine to spur widespread adoption of mobile commerce. In the coming months, the company will continue to focus on our progress in developing Fave and rolling out its full service capabilities. It will now work with NTUC Women's Development Secretariat, handling its social media mandate. .. The first is that four of the predicted top five economies, will be in Asia. ..
AI might be all the rave right now. But can you imagine a future without human emotions?..